Navigate to the MLB website and login to your account. After login, go to the Audio/Video Subscriptions page and follow the on-page instructions. 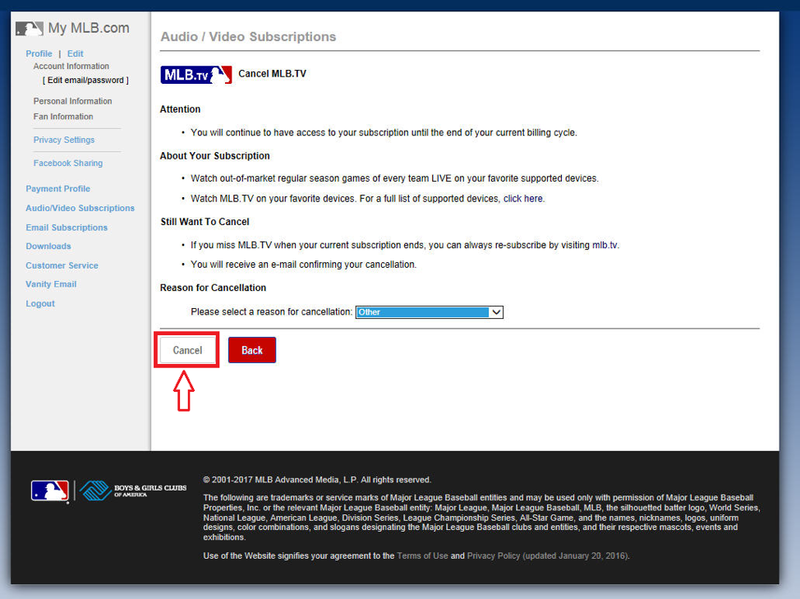 You can also email customerservice@website.mlb.com to cancel your account.